One problem I have in my children’s swimming classes is that I always feel the parents want me to tell the children how to swim. They want me to tell them exactly what to do with their arms and legs. The children usually want to please so if you tell them to do something they will try to do it. But this means that they stop feeling the water, stop being aware of their own bodies moving through the water and the result is often that their swimming becomes laboured and uncomfortable. If you allow them to play and find their own movements, then just gently show them what to do the swimming is much more graceful. This is even more true of non-swimming adults. I have to get them to feel the water, to work out a little bit for themselves how to move their bodies through the water and then help them to refine the movements. Good swimming is all about feeling relaxed and confident in the water. This only comes with experiment, play and practice. 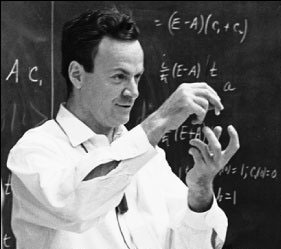 Here is Nobel prize winning physicist Richard Feynman talking about the difference in the way art and science are taught. He was learning to draw. Especially when teaching adults who have spent a whole life not learning to swim and may be very fearful, it is important to teach the spirit rather than just the technique of swimming.